Does your Fruit have Flies? What’s the only pest that loves fruit more than you do? FRUIT FLIES. cycle, no? But take heart. All hope is not lost. have a professional evaluate your problem and devise a foolproof plan—with a guarantee—to rid your house of these pests. DISCLAIMER: No fruit flies were harmed in the writing of this blog! Clean your dishwasher disposal by rinsing bleach through it. Discard all overripe fruit; rotting fruit an open invitation to fruit flies! 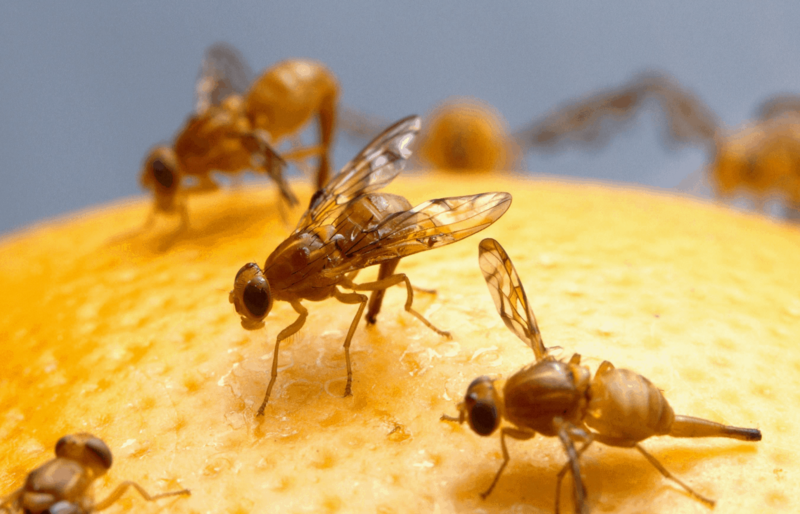 If your efforts to rectify fruit fly problems on your own aren’t sufficient and those pesky little flies are still around your kitchen, give us a call. We’ll be happy to assist you in your pest control needs.